The endlessly changing pinouts, interfaces, and varying form-factors of SSD drives makes SSD MacBook Air drive swaps and upgrades challenging to cover. Over the years, Apple has shifted from 1.8" sized PATA drives to custom pinout micro-SATA type M.2 SSD modules that progressively supported SATA I, II and III interface speeds. In its latest generation of Air laptops, Apple has transitioned to proprietary PCIe SSD modules - and once again your choice in 3rd-party aftermarket solid-state drive modules for MacBook Air is severely constrained. If you explore the resonable but limited selection of solid-state drive modules for MacBook Air you'll see that both Other World Computing - OWC and Transcend offer model-specific Apple compatible SSD cards for MacBook Air laptops. They also offer blade/case bundles with mini drive enclosures to help with the data transfer process and repurpose your original Apple SSD module as a fast USB 3.0 external backup drive. You'll need to check the fine print labeling on your Mac and Hardware Info in Apple's System Profiler to absolutely verify the EXACT SSD card compatible with MacBook Air that you own. Variations from year to year and various logic-board revisions make Apple SSD blade replacement tricky to order. Apple shifted to MVMe PCIe SSD blades in late 2013 again with Apple-specific pinouts that differ from readily available off-the-shelf M.2 standard PCIe blades. You can buy small pinout adapters to convert a standard blade or purchase Apple compatible modules from OWC or Trandscend. In 2010, Apple again changed the MacBook Air SSD drive form-factor to a CUSTOM interface flash chip module. Upgrade options from Transcend (with their JetDrive line) and Other World Computing do exist. OWC's "AURA" line of SSD's can be very specific to particular model revisions of the Air released over the past few years, so your exact Apple model # and product ID is essential to order the right Apple compatible SSD card upgrade. More like a slim memory chip upgrade, it's proprietary shape somewhat limits options for upgrading to a larger drive module. If you can afford it, OWC offers custom SSD moduleus up to 512GB for specific Air MacBooks. Once again, Apple is using a proprietary PCIe SSD interface for the new Retina MacBook Pro line. You can only upgrade the SSD if you BTO - Build To Order at time of purchase and opt to upgrade to 512GB of solid-state storage. The ultra-slim form-factor (as with the Air) necessitates dumping our notion of conventional hard drive sizes to fit into ever tighter notebook designs. Word has it the off the shelf configurations of early Retina MacBooks may ship with EITHER Samsung OR Toshiba SSD modules with slightly different performance factors - and you really won't know WHICH SSD manufacturer has been used until after the fact. Apple changed the TYPE of SSD in the original MacBook Air: When first introduced, the Rev. A Air used a PATA - Parallel ATA 40-Pin ZIF interface 1.8" 5mm thick SSD made by Samsung. See this article about the MTron Mobi PATA SSD at notebookreview.com which can be used to upgrade/replace an SSD in the Rev A MacBooks. Things changed again, with Later Rev B and subsequent models of the MacBook Air. Apple switched to an unusual, somewhat non-standard Low-Insertion-Force LIF cable SATA I Interface rather unique to Samsung and perhaps custom spec'd for Apple. 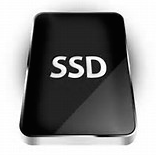 Learn more about OS X compatible flash memory hard drive options for Macintosh desktop and laptop computers: Visit the Home Page of Apple Solid-State Drive Upgrades for New Flash Storage Product Announcements, Best Performing SSD Prices, Cheap Flash Drive Deals, and Upgrade Tips. Note - Apple, the Apple logo, iPod, iPad, Mac iMac, Mac mini or MacBook, OS X and many others are registered trademarks of Apple Computer in the United States and other countries. Any other computing accessory, peripheral, upgrade, add-on or gadget and gizmo mfrs, products and brand names that are mentioned on this web page are officially registered trademarks of each related business corporation. An Apple compatible SSD card for MacBook Air provides an opportunity to increase both the storage capacity and read/write performance over your Air's original factory installed solid-state drive blade / module. From IDE to SATA to PCIe SSD connnectors - Apple has periodically updated the interface connectors used in solid-state MacBook Air configurations since it's introduction in 2008. This is a normal part of technological computing advancements, but Apple's use of custom SSD cards and non-standard pin configurations has also made finding 3rd-party Apple compatible SSD blade upgrades challenging, limited and more expensive. Having the right tools really helps if you're attempting a DIY Macbook Air solid-state drive upgrade. Apple's has been employing some rather unusual screw-head sizes and shapes for laptop dissassembly and drive removal, so an Apple specific toolkit can help perform the drive swap and case dis/re-assembly correctly and quickly - without risk of damage from using the improper tools.